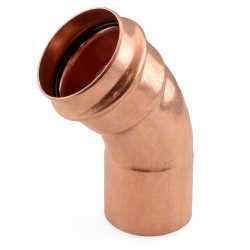 We offer quality copper press 45° street elbows in various sizes. Make reliable connections easily with these fittings. Simply press down on the the fitting and a watertight seal is made.